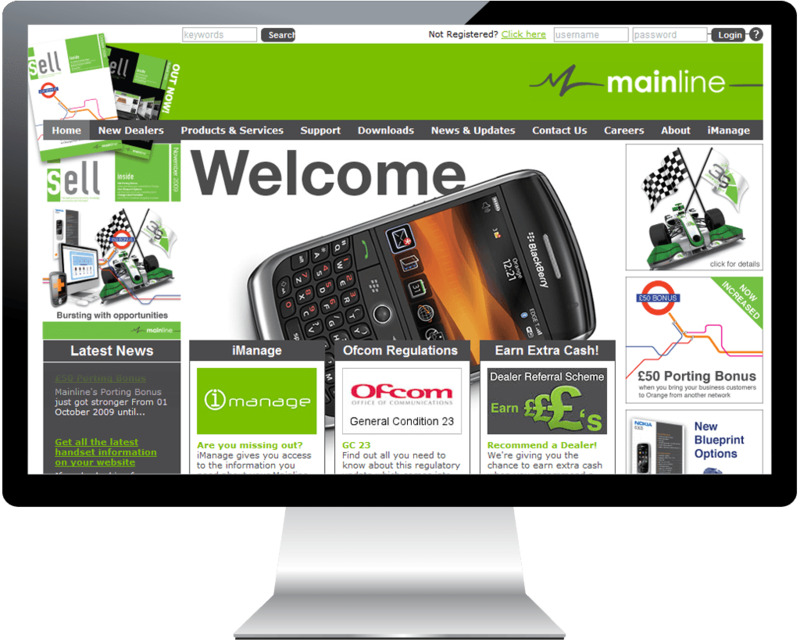 Founded in the mid-80s, Mainline is the leading Orange mobile phone distributor providing businesses, from sole traders to large companies, with tailored phone dealer solutions. Following their rebrand by Hill Langdell, Mainline wanted to redevelop their website to match their new look and provide more information to their registered dealers. Working closely with the Mainline marketing team; we produced a new website and secure dealer portal that enables them to provide both generic information and specific information to each dealer group. We created a sophisticated Content Management System that allows Mainline to fully manage all website content and dealer accounts in-house.